The Transplant Australia High-Performance Sports Camp was a great success. 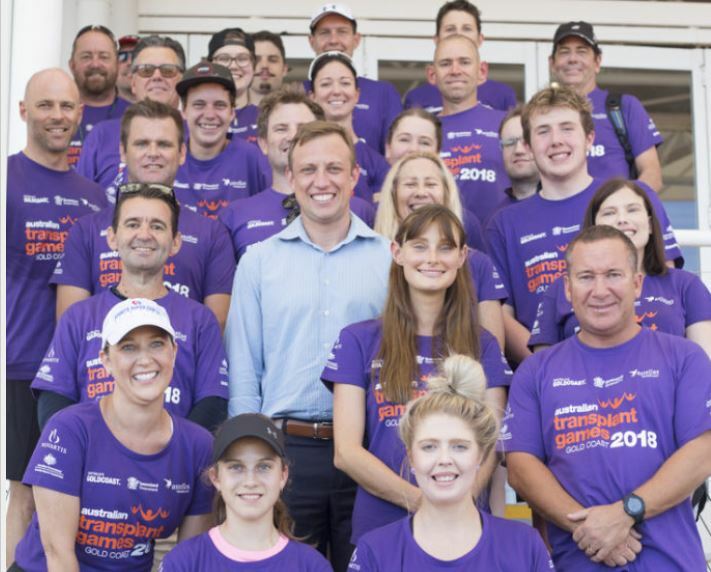 One of the key events in the lead-up to the 2018 Australian Transplant Games saw 25 athletes from Victoria, WA, NSW, the ACT and QLD unite at the Sports Super Centre on the Gold Coast for the largest transplant-specific training event in the country. Providing Games athletes the opportunity to train in the world-class facility, and one of the official Gold Coast 2018 Commonwealth Games venues, allowed them to take their sport one step further. The program consisted of boot camps, yoga, sports psychology, cycling/swimming/running technique training, and Transplant Australia was pleased to have an Australian Olympic Coach lead the transplant athletes in the pool. The photos are now live. Transplant Australia would like to thank photographer Nick Farley, Queensland Health Minister Steven Miles MP for opening the camp; bone marrow recipient Kate Carlyle who emceed the opening of the camp; and staff from DonateLife and Gold Coast University Hospital – GCUH for supporting this event. The Australian Transplant Games take place from September 30 – October 6 in one of Australia’s best holiday destinations, the Gold Coast. Registration is now open and there’s a flexible schedule allowing participants to take part for 3 days or one week. Pick your sports and register today. Belinda Chilton, Tina Coco AM from DonateLife, heart recipient and model Bec Craven, and Amanda Gilbert representing DonateLife and the Gold Coast University Hospital. Liver recipient Alan McKaskill has big goals for the Australian Transplant Games. Nate Howell and liver recipient Natalie Hazlewood, one of Queensland’s best transplant swimmers. Liver recipient Brad Stanley, who won silver and two bronze for Australia at the 2017 World Transplant Games.